We live in a world where there is an app for everything and stock photography isn’t an exception. 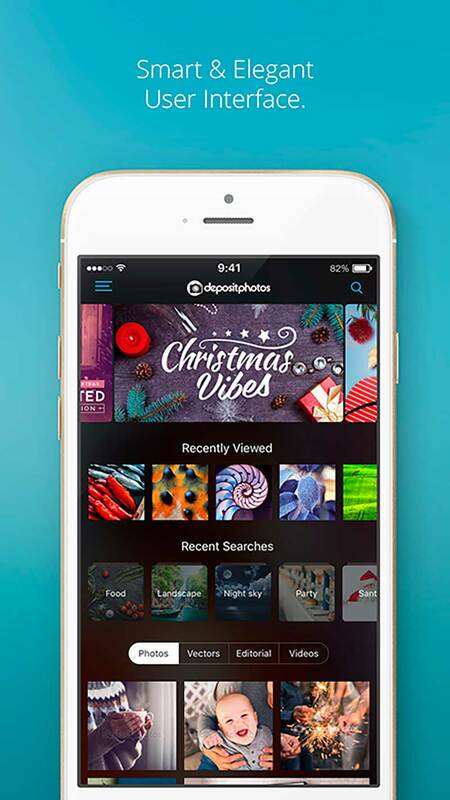 The Depositphotos mobile app allows you to search, manage and download files directly from your smartphone or iPad. We have recently redesigned the app to make it even faster and more convenient for you. 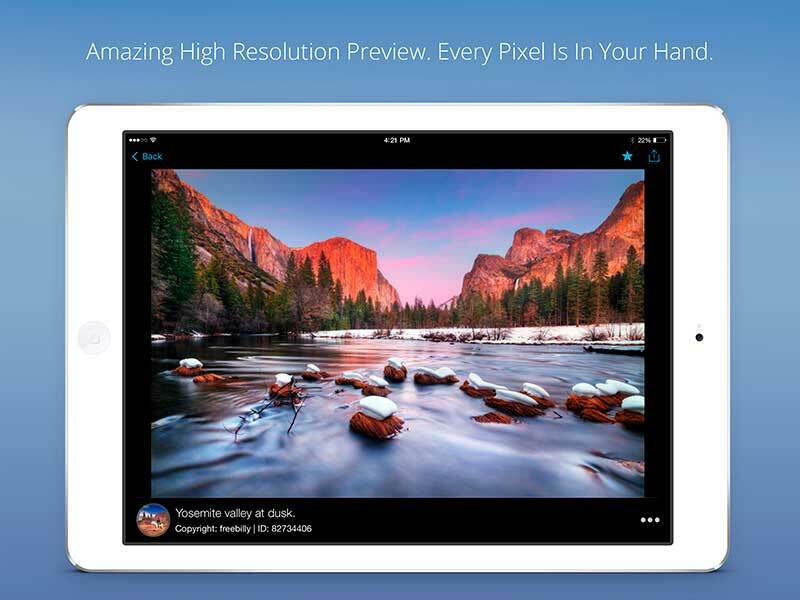 The first thing you’ll notice is that the navigation within the app is much more smooth. Go ahead, give it a try! The home page contains “Recent searches” and “Viewed files” tabs, which will help you browse and manage your images. With the ‘Favourites’ tab in main menu, you can access your chosen files and save them with seperate folders. Feel free to share specific folders with colleagues through email, messenger or social media. Need to review downloaded files? No problem! Just go to your “Downloaded” tab in the main menu. Search filters such as Category, Orientation and Color will save a lot of time and make the image hunt much more efficient. Type your keywords into the search bar and tap “Search”. You will now see an Advanced Search icon in the search bar, simply tap it and set up specific filters. Ready to download a file? Tap on the “Download” button and get back to browsing. The Download Manager will take care of downloading the file to your device, and saving it to the “Downloaded” tab as well. 4. Of course there are Free Files! Browse through an extensive collection of free photos, illustrations and videos and download whatever you like. The Free Files collection is updated regularly. Enjoy high resolution files and a smart user interface. We have worked hard to provide you with an elegant and convenient app. It will take you a second to download and test the latest iOS technologies and notice the improved use experience. 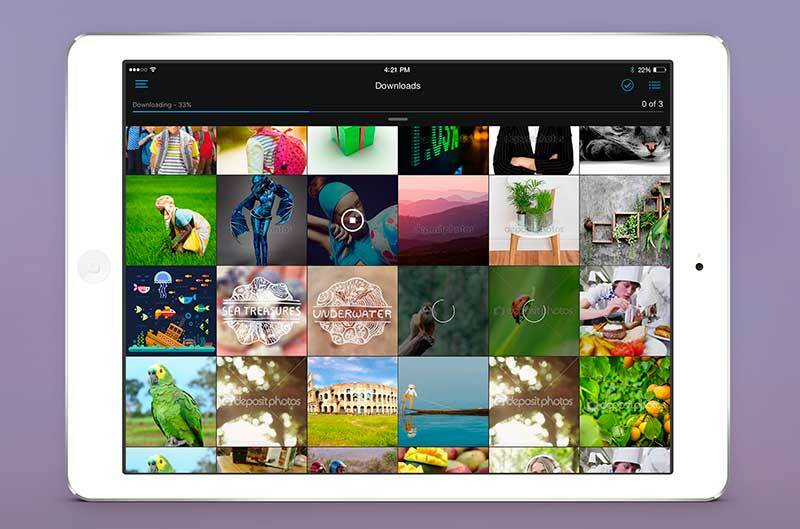 Managing mobile stock photography has never been so easy and efficient!